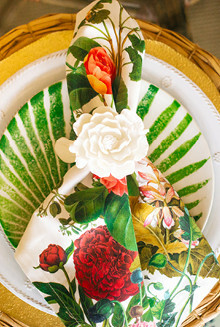 Together these colors create a perfect combination for spring! This signature piece will look amazing draped, knotted or wrapped. 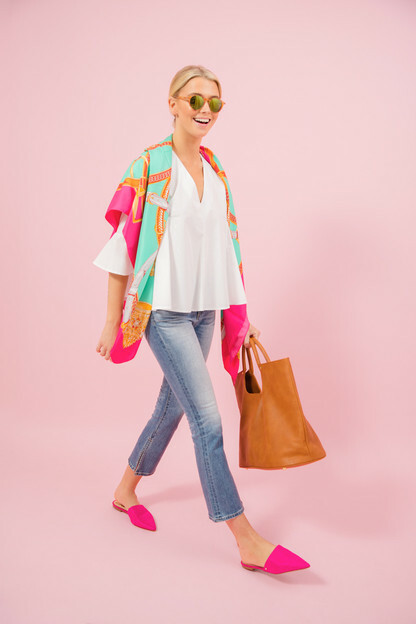 This scarf is beautiful and adds a fun pop of color to any outfit. It looks expensive but you can't beat the price. Absolute favorite - wearing one right now! Obsessed with these scarves. I have one in every single color! I'm actually wearing one right now - they're great, versatile, and the colors are fabulous. This is one of my favorites for anything and everything spring and summer. Works from brunch to a meeting at the office to dinner afterwards. LOVE the size! It's big, so you can wear it so many different ways. If you're on the fence, do yourself a favor and just buy it! 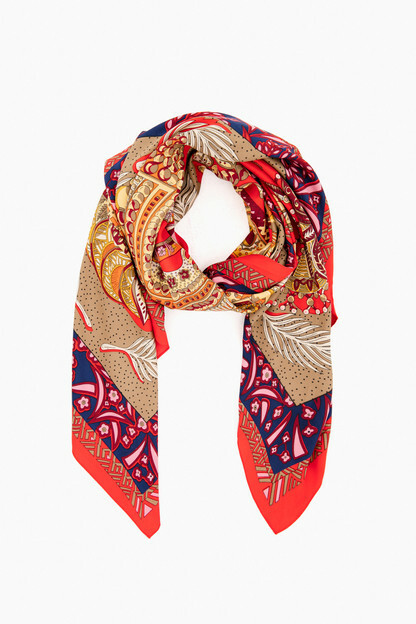 The suzette scarf is another perfect scarf from Tuckernuck! So vibrant a versatile. Looks beautiful on a bag or worn as a shaw or scarf. I bought extras to give as gifts. 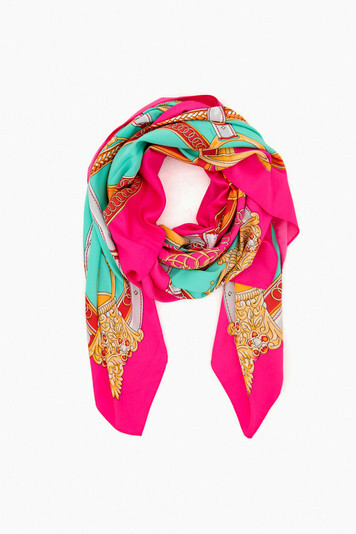 I love hot pink & turquoise, this scarf combines both which looks great against my summer whites, chambray or black. The larger size gives you more ways to wear it. 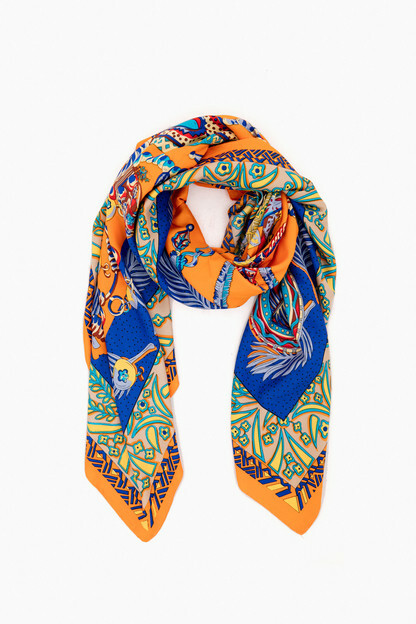 I own several Hermes scarves which I LOVE but hate to wear them for traveling or work when they might get messed up. This Tuckernuck scarf is my new go to for all of the above! The colors are beautiful and for the price point this cannot be beat. I now want to purchase this scarf in every color. Have already worn several times and have received several compliments. My favorite Tuckernuck purchase to date! Love love love this scarf!!! Beautiful colors so vivid and bright, takes your outfit up a notch, buy this scarf now! This scarf caught my eye! The colors are bright and wonderful for the summer! A fabulous POP to any outfit! This scarf looks stunning in the pictures, but it fell short of my expectations in person. The pink is more bubblegum than fuchsia, and the dominating color in it is the aqua green, which isn't a versatile color at all. In small pictures it looks cool, but in person the yellow rope designs stand out, and they reminded me too much of renal pathways. I will say that the size is large enough for nonstandard uses. I was able to try it on it as a tie-on summer top (I'm a standard XS in tops), for an exotic look. 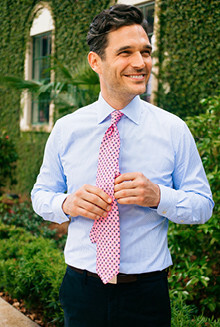 It's nearly half the price you'd pay for a tie top that's advertised as such, and it works just as well. I may have to try the other colors. Such a special piece. Instantly brightens any outfit. 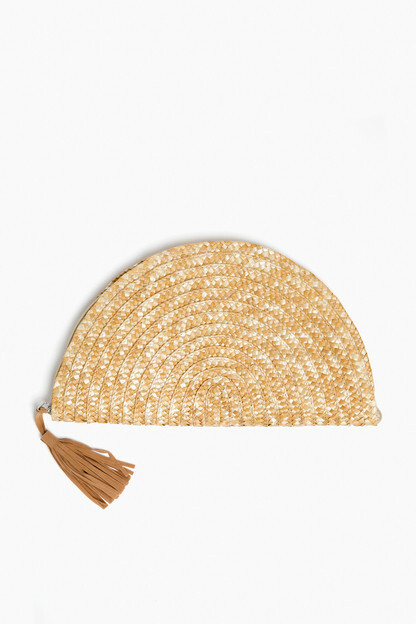 Will absolutely purchase in multiple other colors! 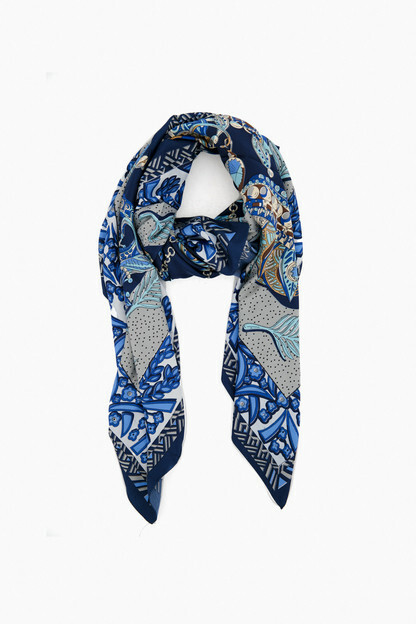 This scarf is beautiful! The colors are very vibrant and you can wear it with a dress or with a nice top and jeans. Sent this to my daughter as a surprise and she was beyond excited. She even told me she saw it in a Facebook add and almost bought it. Get this before it sells out! The color combination is stunning. Wore to brunch with my friends and one of them ended up purchasing it right at the table!